BRYAN EATON/Staff photo. 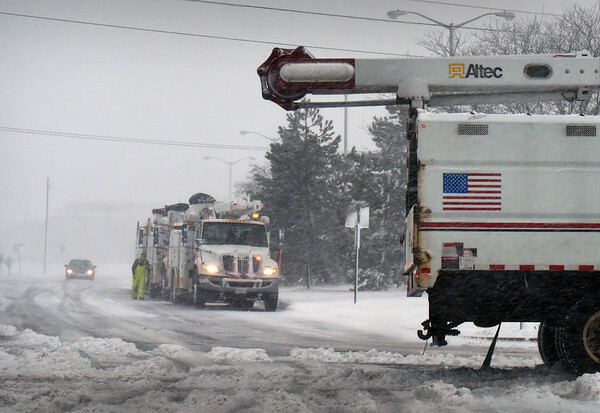 Utility trucks were on standby at Salisbury Beach during the storm. Winds were strongest at the coast.